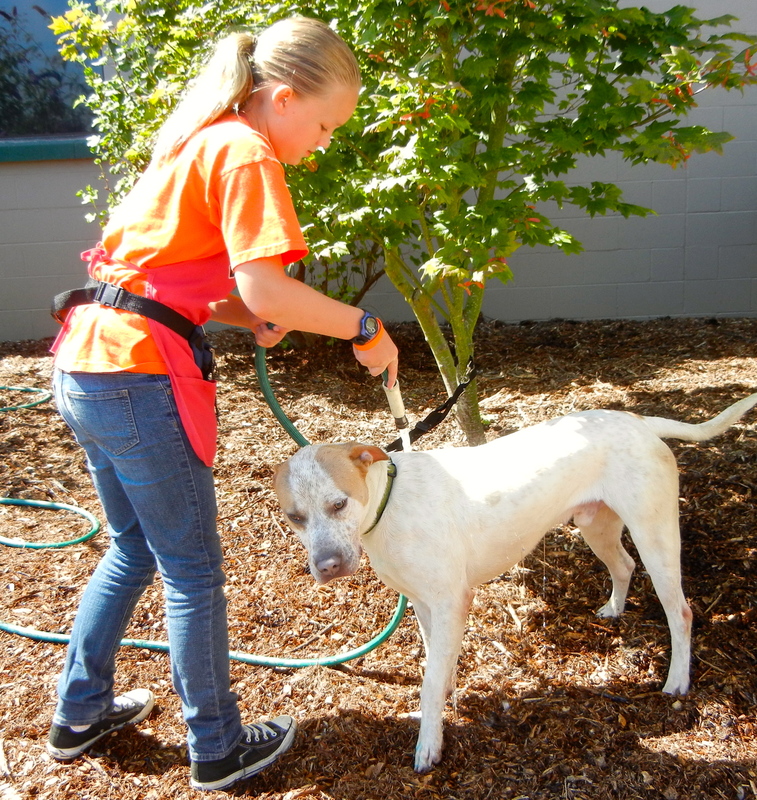 A lot has been happening at Willamette Humane Society since my last post. 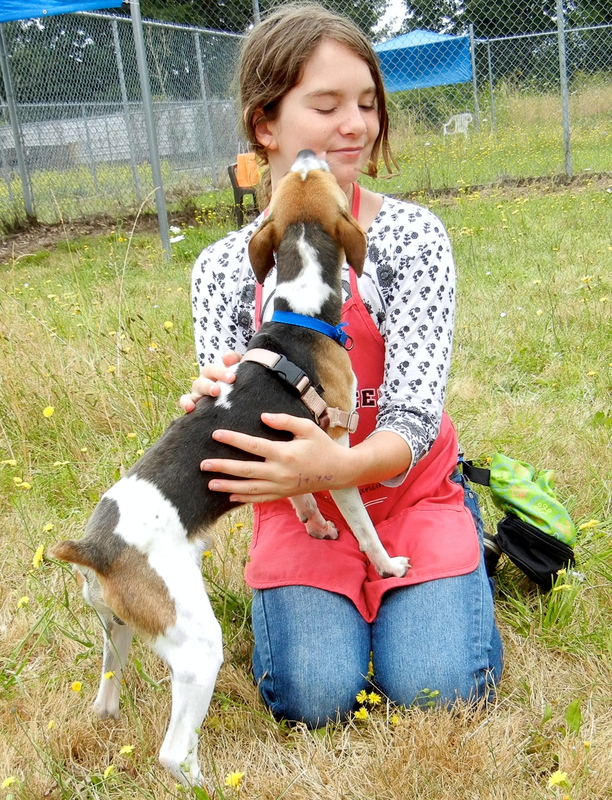 For those of you who have been following my WHS Facebook page (www.facebook.com/adoptanoregondog), this first story will be a repeat, but I don’t think you’ll mind. 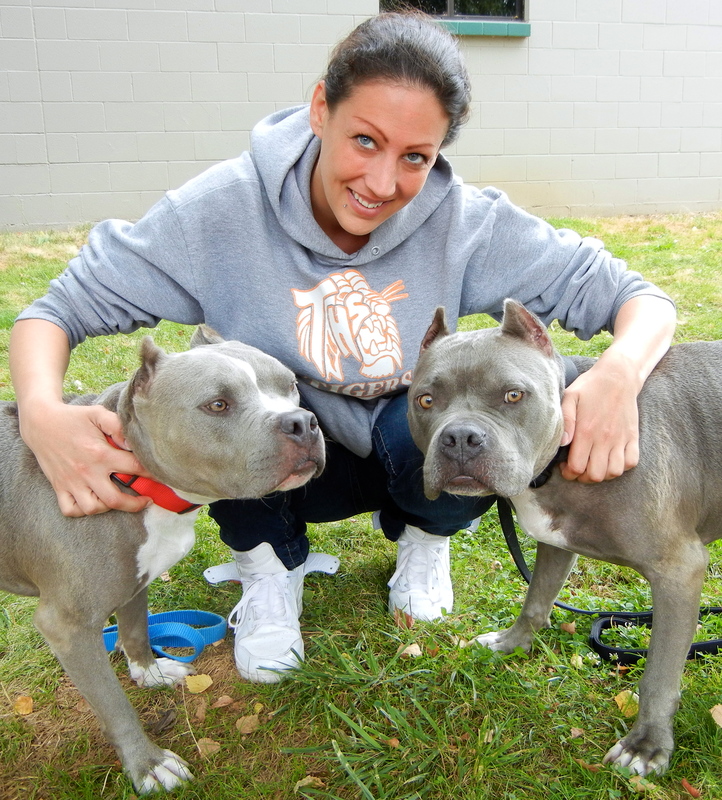 Our sweet Elvis and Sato were adopted by a fellow WHS volunteer on Sunday! 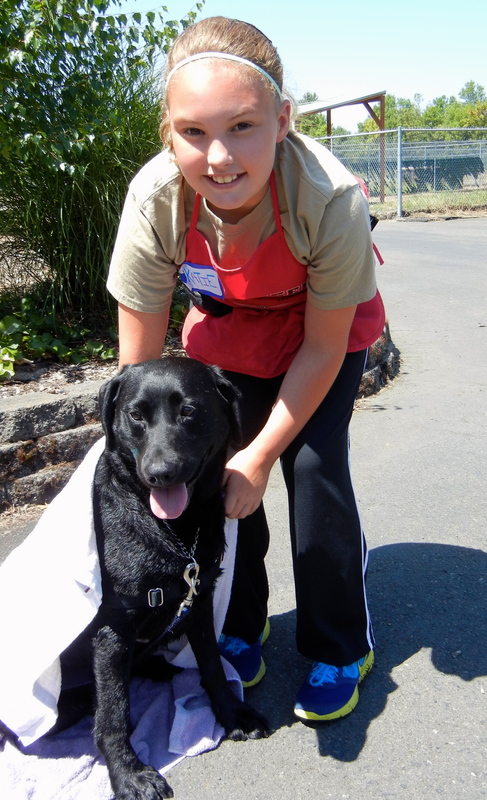 Ashlee is a dog walker and works in the clinic. 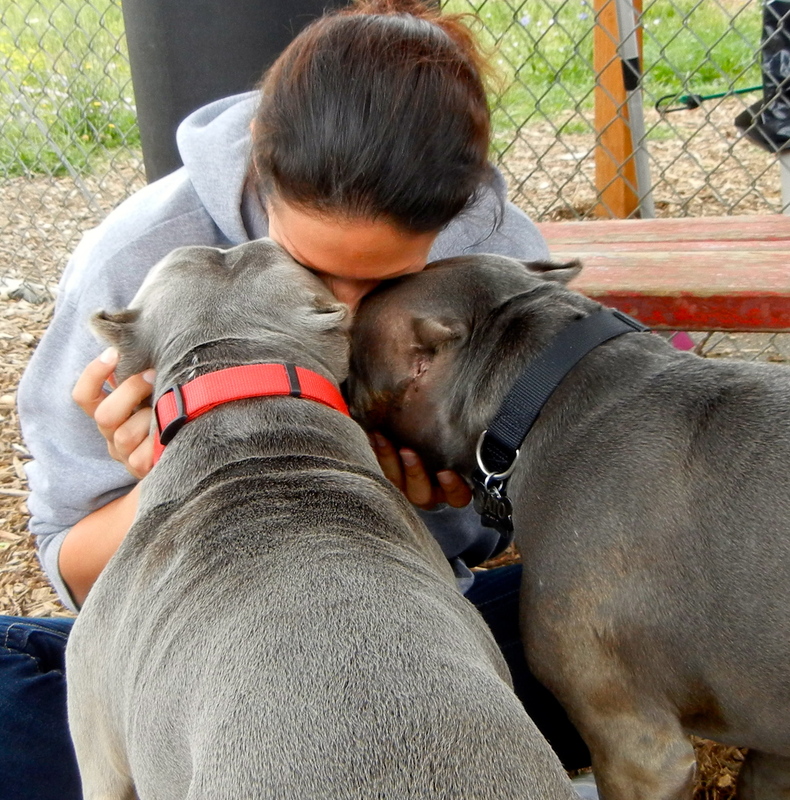 She fell hard for The Boys and although she had not been thinking of adopting one, let alone two dogs, they stole her heart. Here the happy new family is as they were getting ready to head home. I happened to see Ashlee today and she said both boys are doing really well. She promised me updates often. 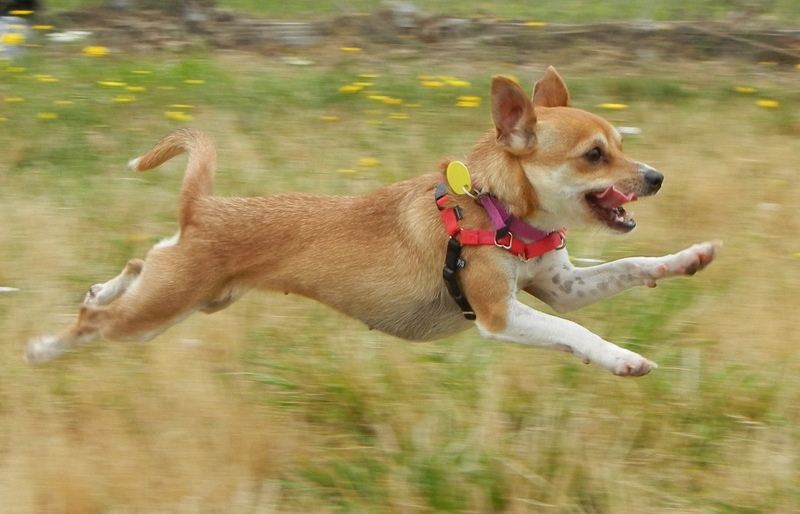 Other happy Blog Dog adoptions happened, also. 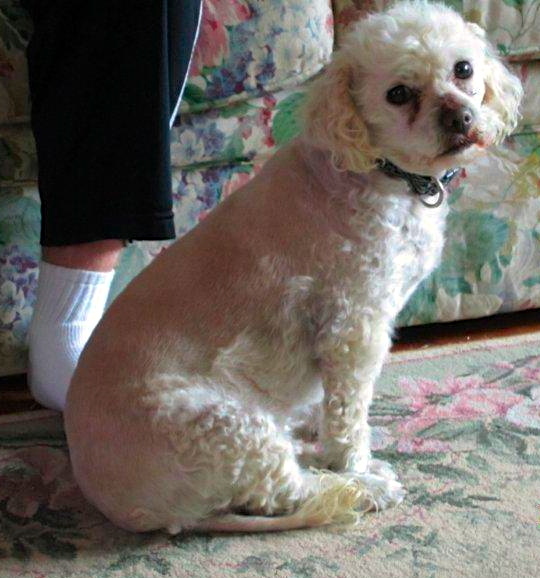 You may remember that Precious Love and Brandy were adopted together and then returned when the family couldn’t keep them. 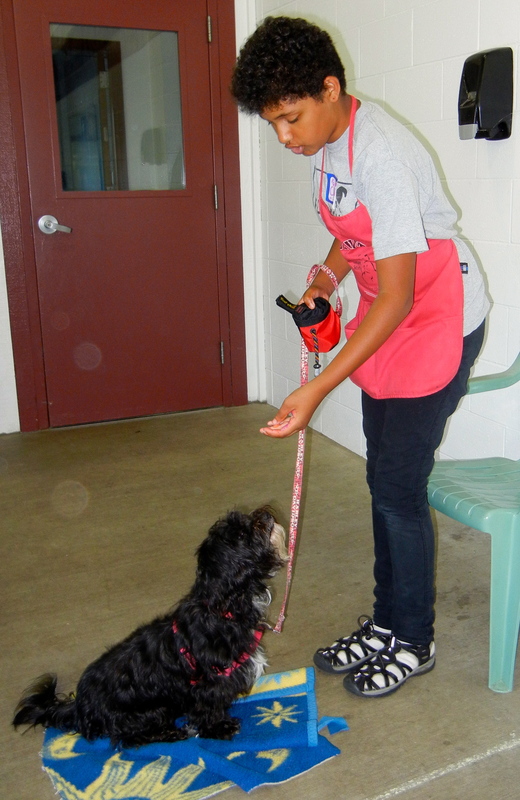 After getting feedback about the dogs’ behaviors in the home, WHS staff determined that could get along fine in separate homes. 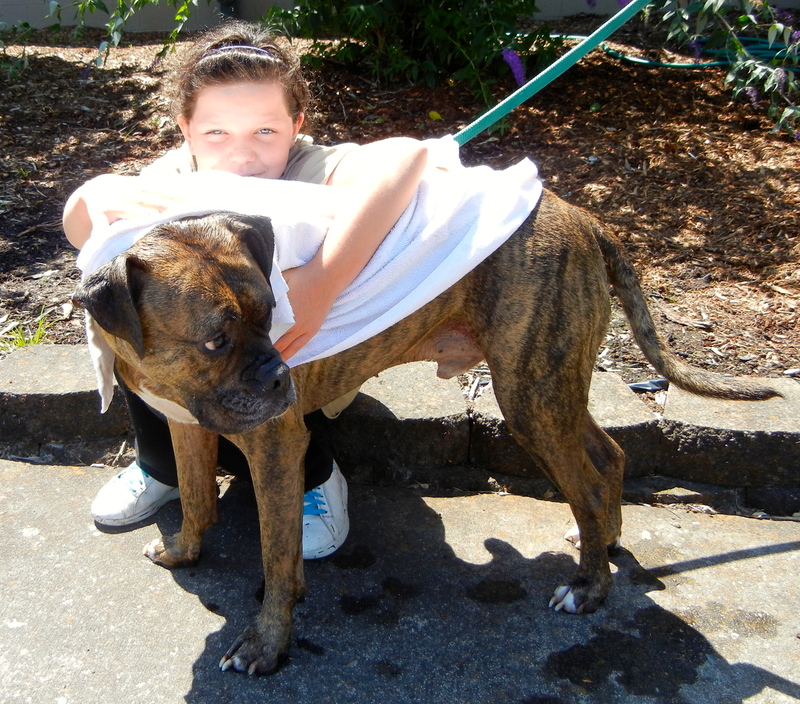 Precious was adopted last week and Brandy has a hold on her and will probably go home tomorrow. 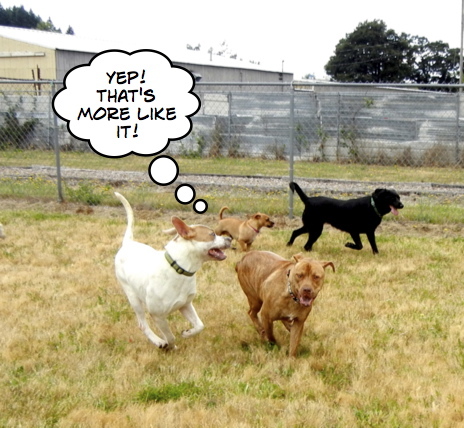 Play group on Sunday was happy with some recent arrivals meeting for the first time. 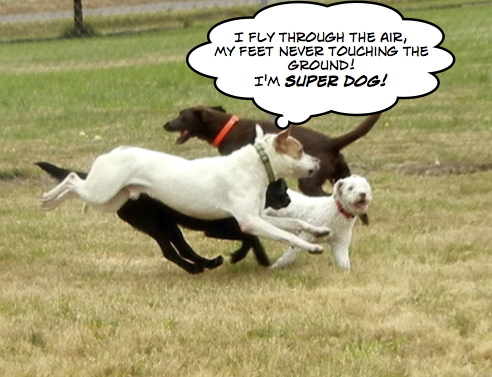 Of course, it takes awhile for a new dog to learn the rules as Blacky found out. Blacky proved to be a quick study. Then there is always the long-termer, like Hummer, who has to show off. All he needs is a cape! 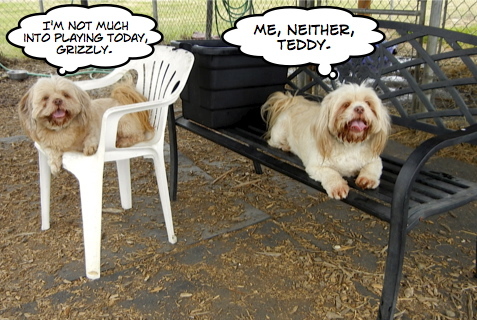 Some dogs, like Teddy and Grizzly prefer to be spectators rather than players. 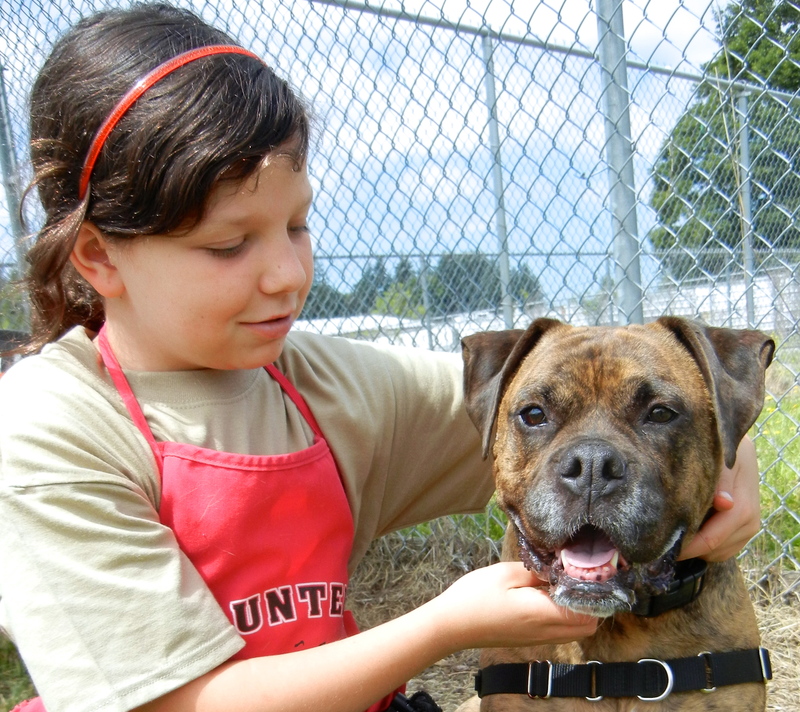 Some dogs are easy to overlook in their kennels, especially if there are a lot of dogs available and one is not outstandingly cute and is quiet and undemanding. 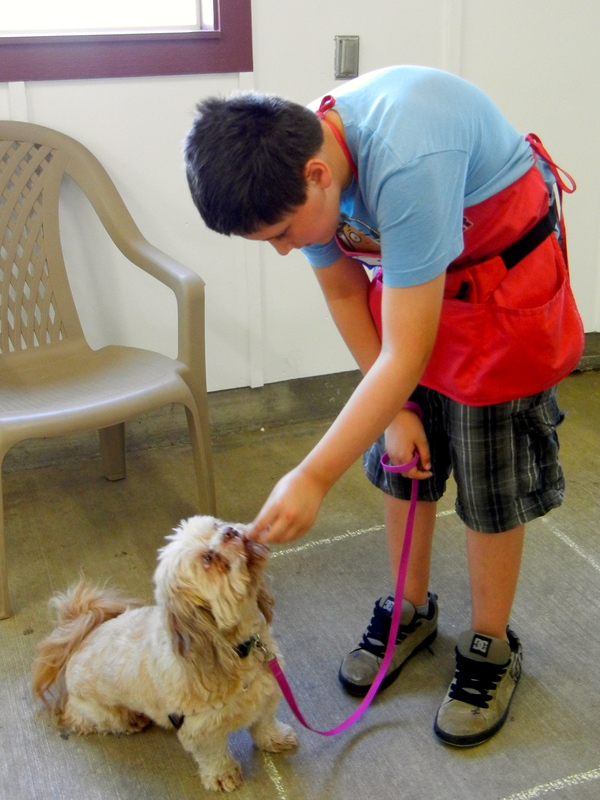 Such is the case with Collin, a six-year-old Toy Poodle mix who has been at WHS since June 27. 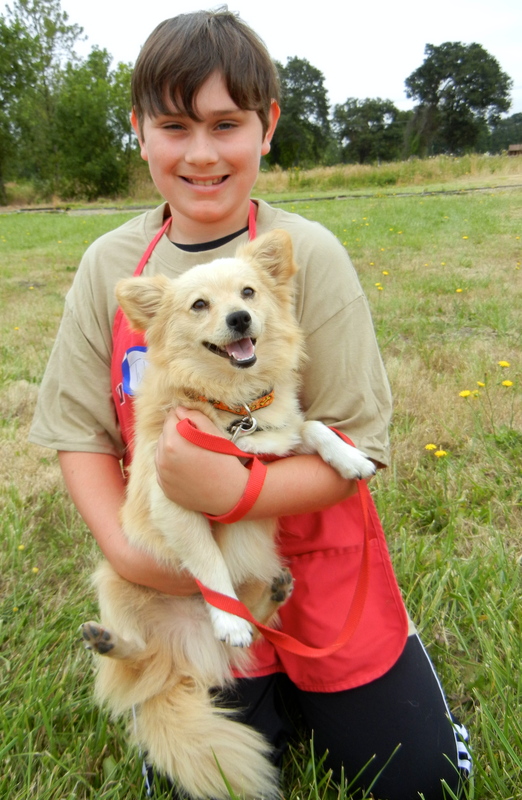 But Collin has something going for him—a volunteer who took the time to get to know this little guy and discovered a delightful personality. 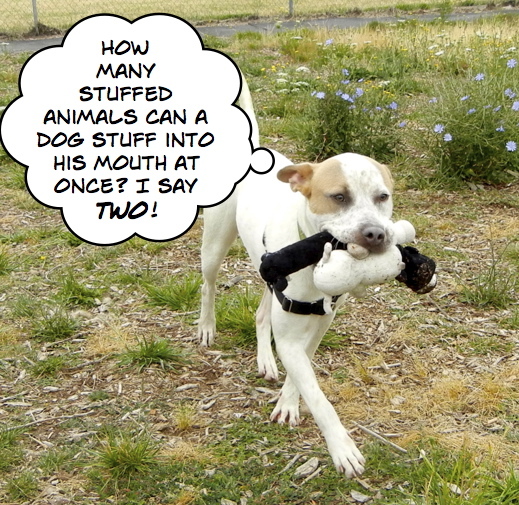 Dog walker Beth Ann decided to take Collin on a respite and happily reported the following about their day. “I’m sending some photos of my time with Collin on Tuesday. He enjoyed hanging out with me and my son at our house. He watched TV a little with my son and took a nap while I cooked. 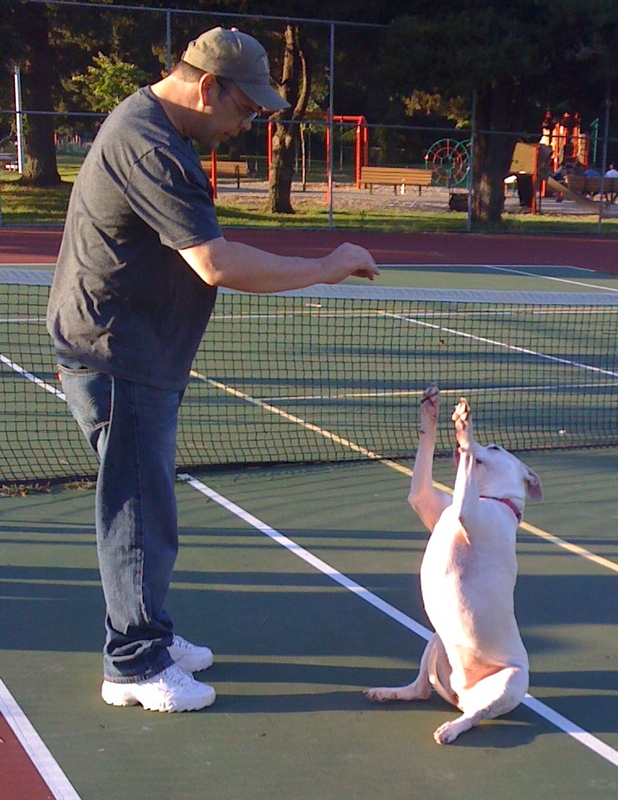 We also took him with us when we shopped for a tennis racket for my son (and the clerk who helped us gave him a biscuit since there is usually a dog there who wasn’t that day – of course Collin loved that). We had a nice walk over to and through Bush Park and he really loved sniffing as we walked along. He also really loved tummy rubs. A very sweet and well behaved dog the whole time he was with us. 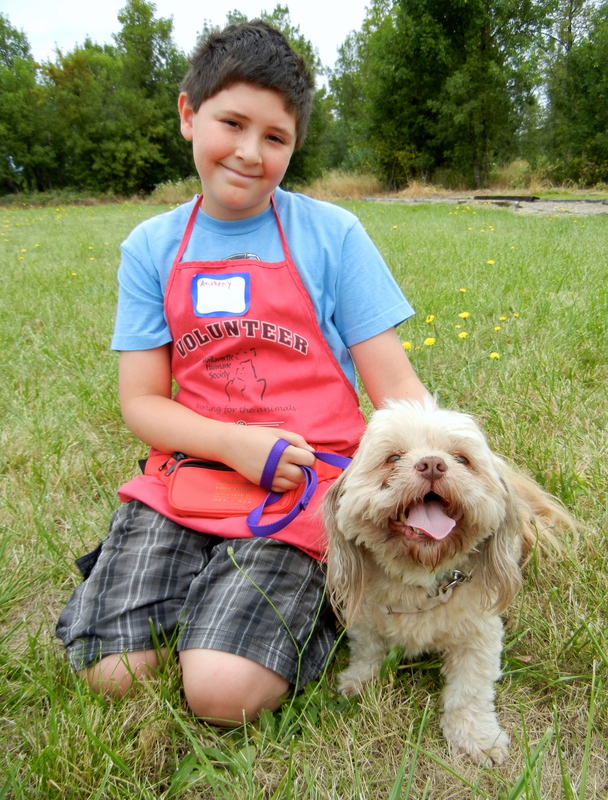 Here are some pictures from Collin’s fun day away from the shelter. And Collin’s adventure doesn’t stop there. 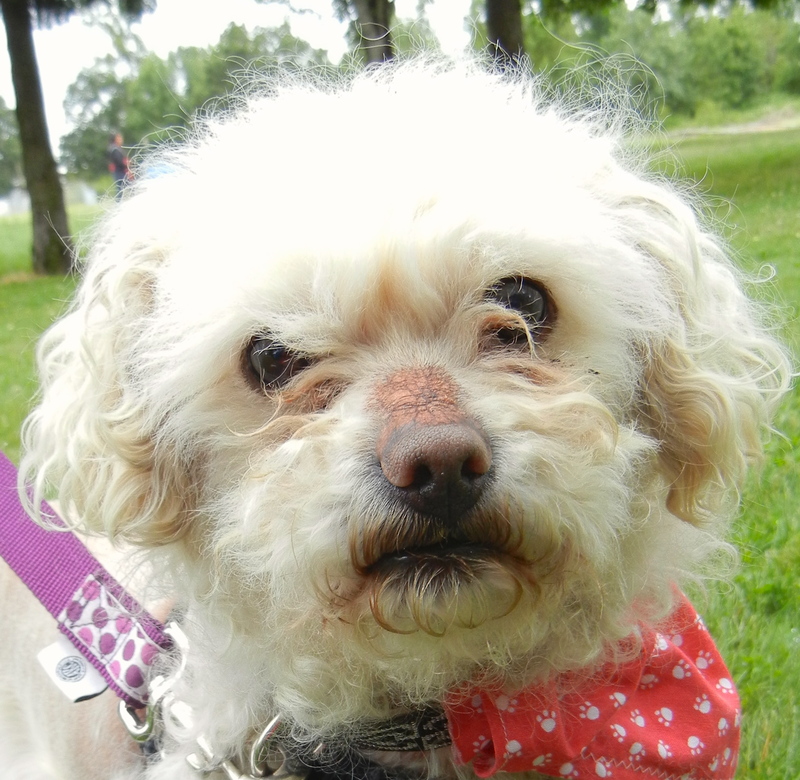 This afternoon volunteer Traci took him out for his walk and stopped to tell me what a delightful little character he is. When I mentioned that he had recently been on a respite and had done very well, Traci’s eyes lit up and soon Collin was off on a sleepover with Traci’s family! For a quiet little man, he’s getting around! It’s Jr. Trainer’s Camp Week! 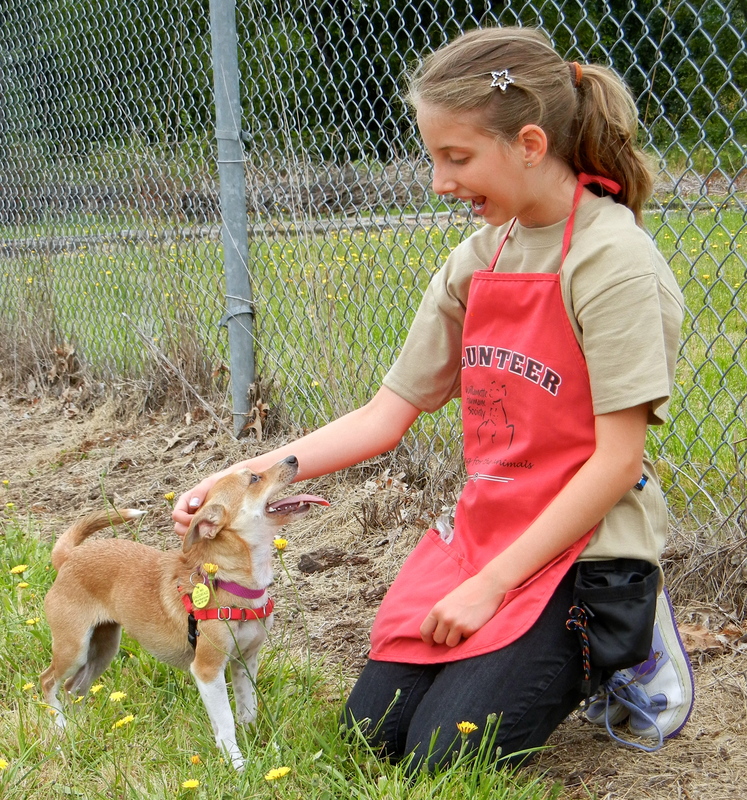 Jr. Trainer’s Camp is a summer day-camp for kids in grades 5-8 held every year at WHS. There are several sessions, each lasting four days. 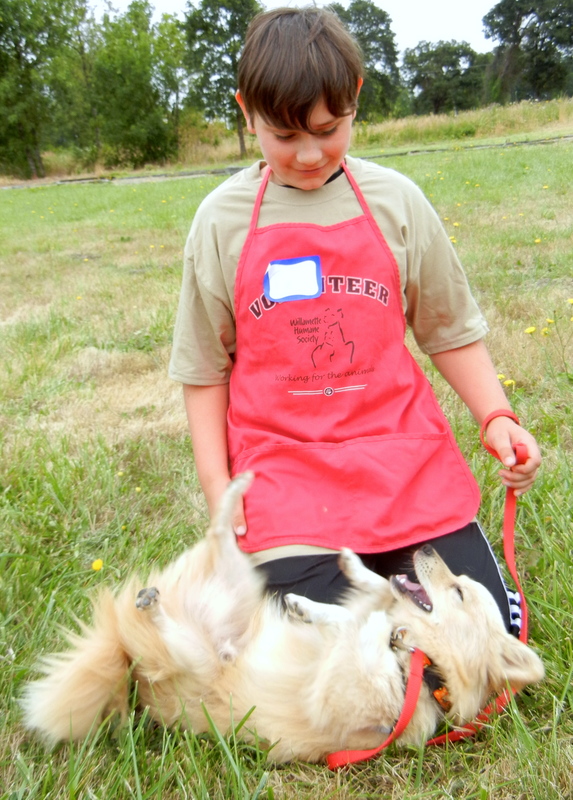 Twelve campers are assigned their “own” shelter dog and learn dog-training skills and ways to help make their dog more adoptable. 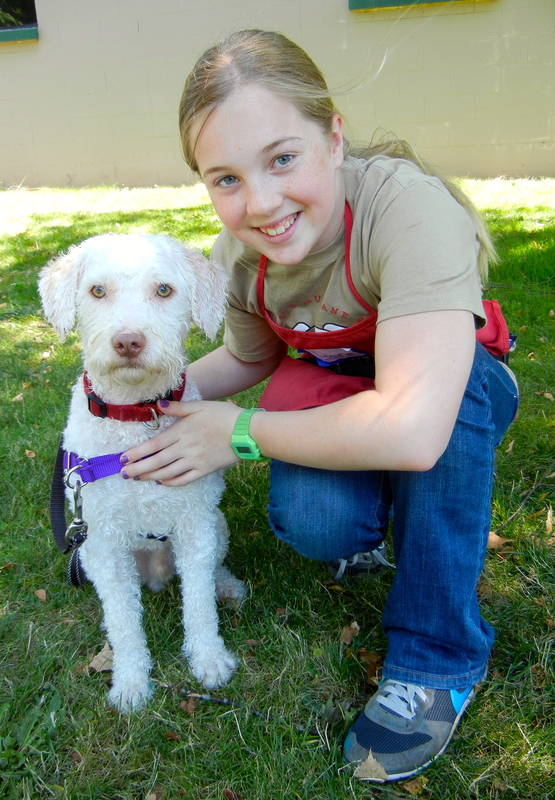 The sessions are taught by the shelter’s Certified Pet Dog Trainer Annie Ingersoll. (All sessions this summer are filled, by the way.) 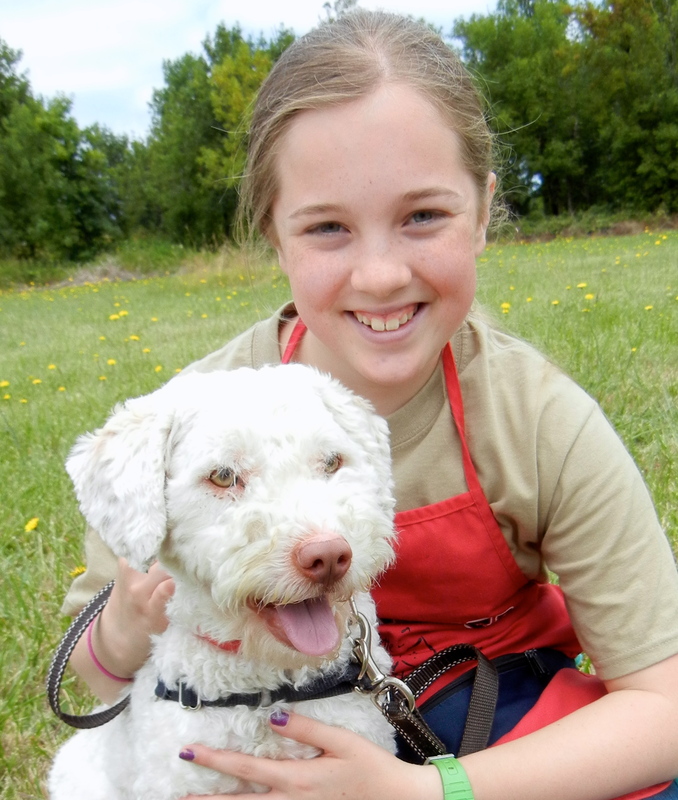 Each year I help Annie with one of the sessions, and this is my week. 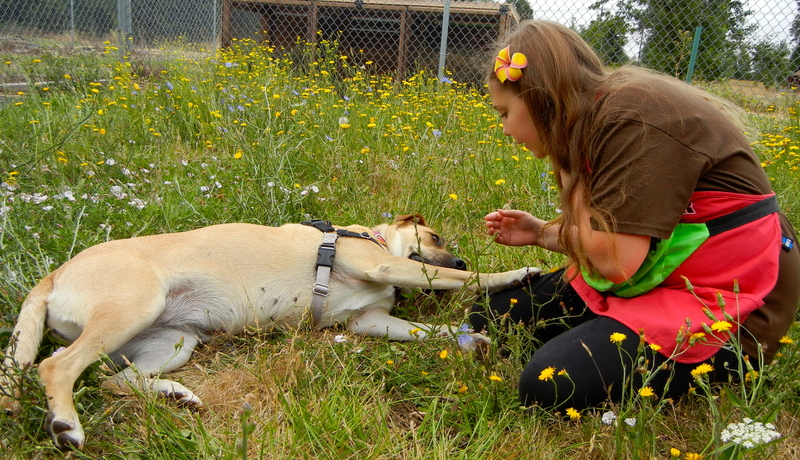 Since one of my roles as a helper is taking pictures, I decided to share some with my readers this week, not only to showcase the twelve adoptable “camp dogs,” but to show the bond that quickly develops between campers and their new best friend. 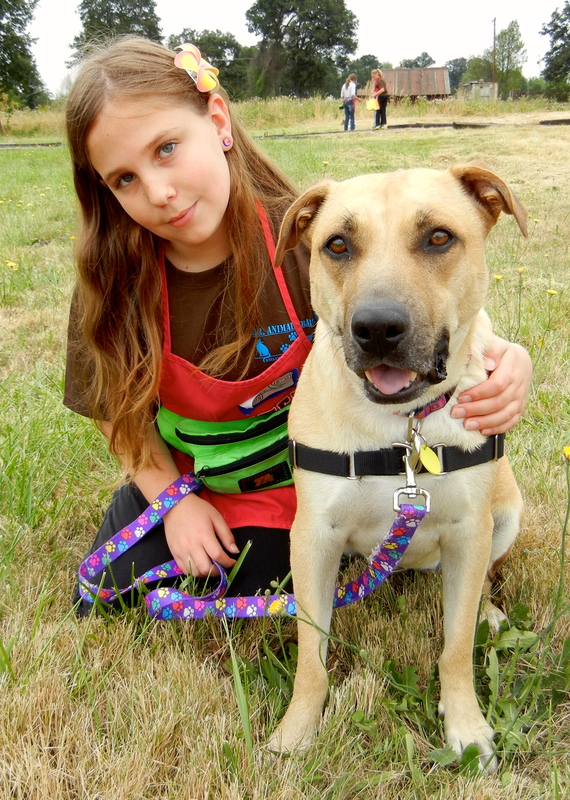 Hummer is a three-year-old Pit Bull Terrier/Cattle Dog mix. 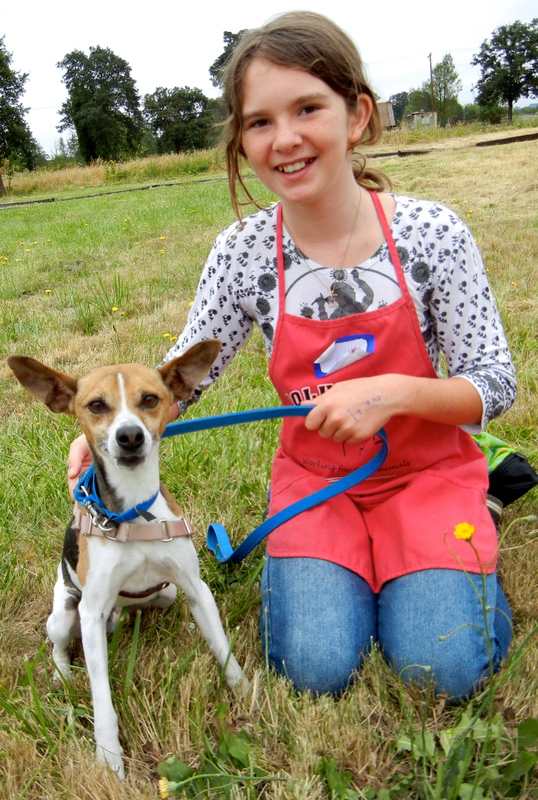 Orbit is a four-year-old Jack Russell Terrier mix. 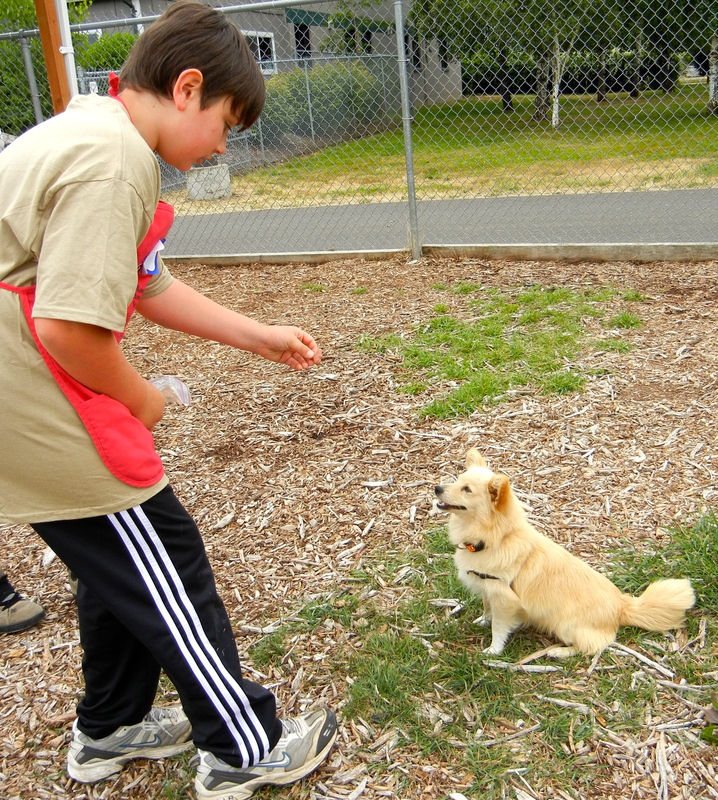 Circus is a four-year-old Pomeranian mix. 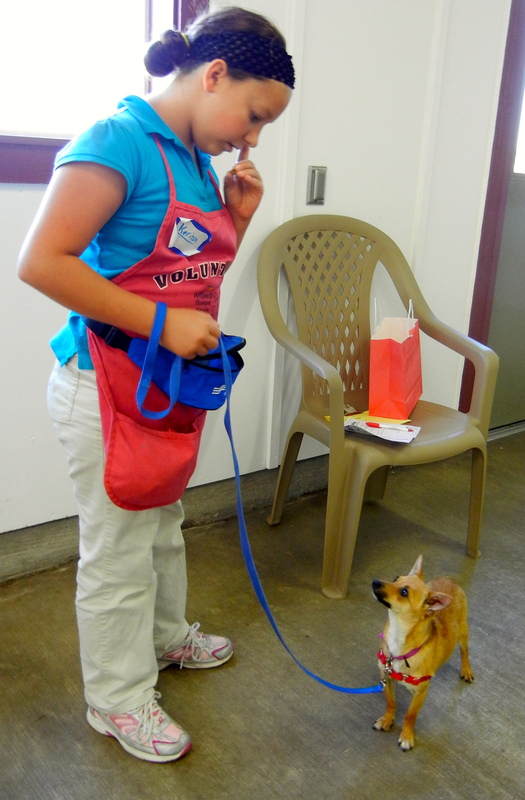 Aly is a two-year-old Chihuahua mix. 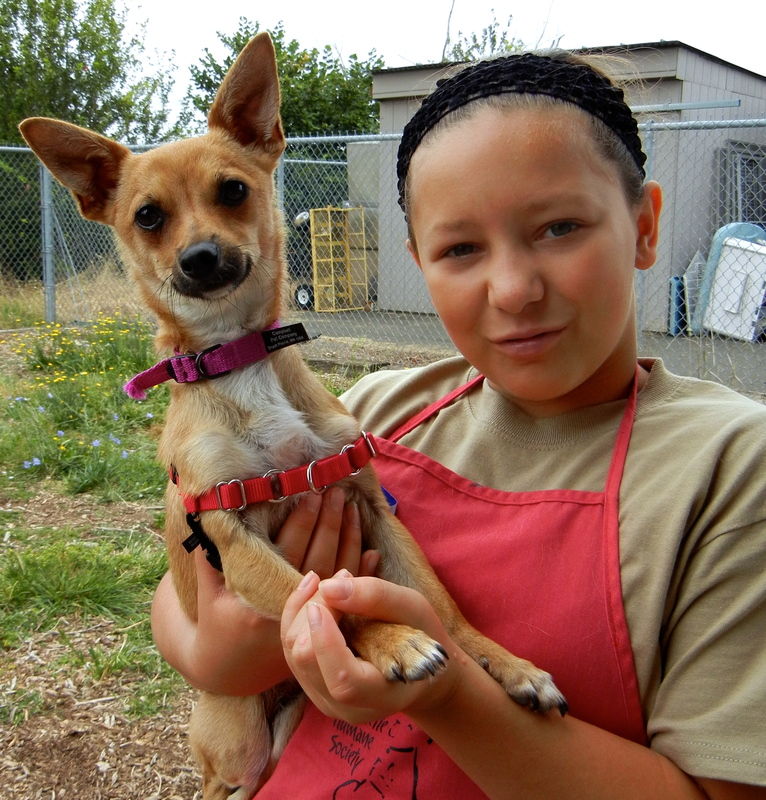 Jilly is a seven-month-old Chihuahua mix. 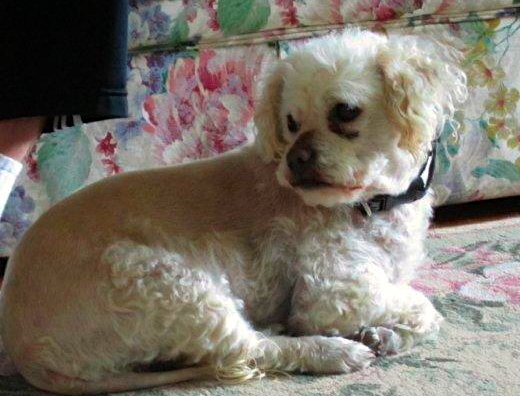 Teddy is a seven-year-old Shih Tzu mix. 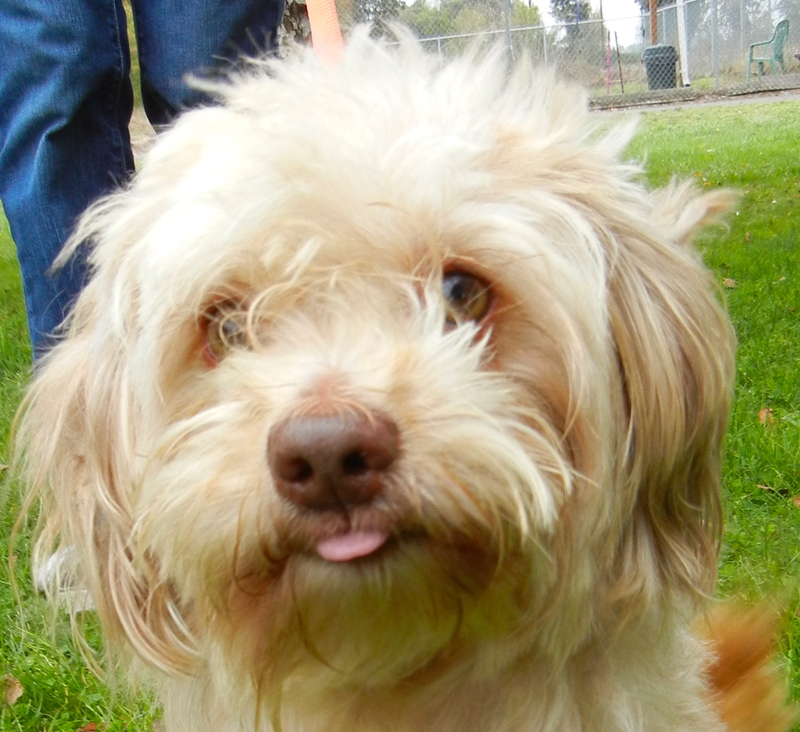 Borrego is a one-year-old Miniature Poodle/Retriever mix. 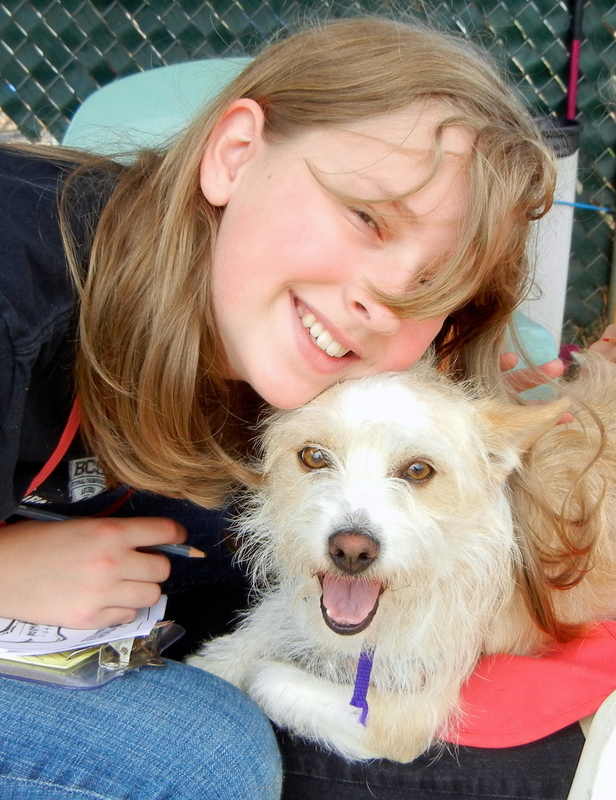 Hollywood is a three-year-old Cairn Terrier mix. 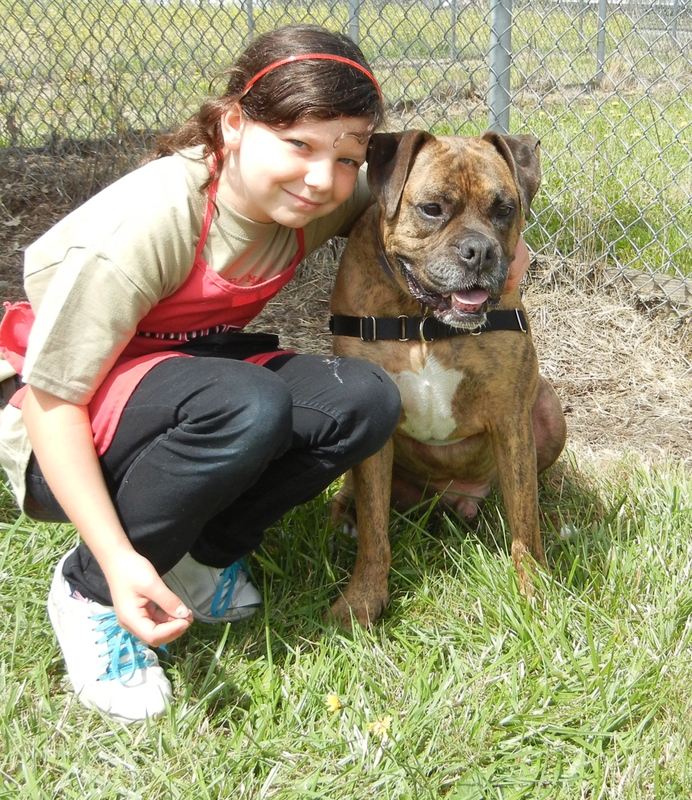 JD is a five-year-old Bullmastiff/Boxer mix. 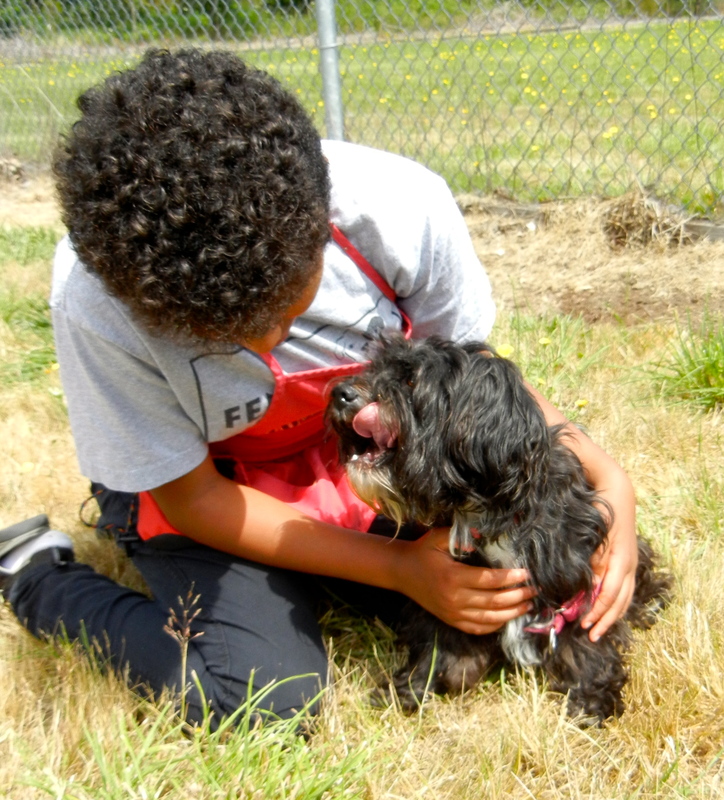 Cindy Loo is a four-year-old Lhasa Apso mix. 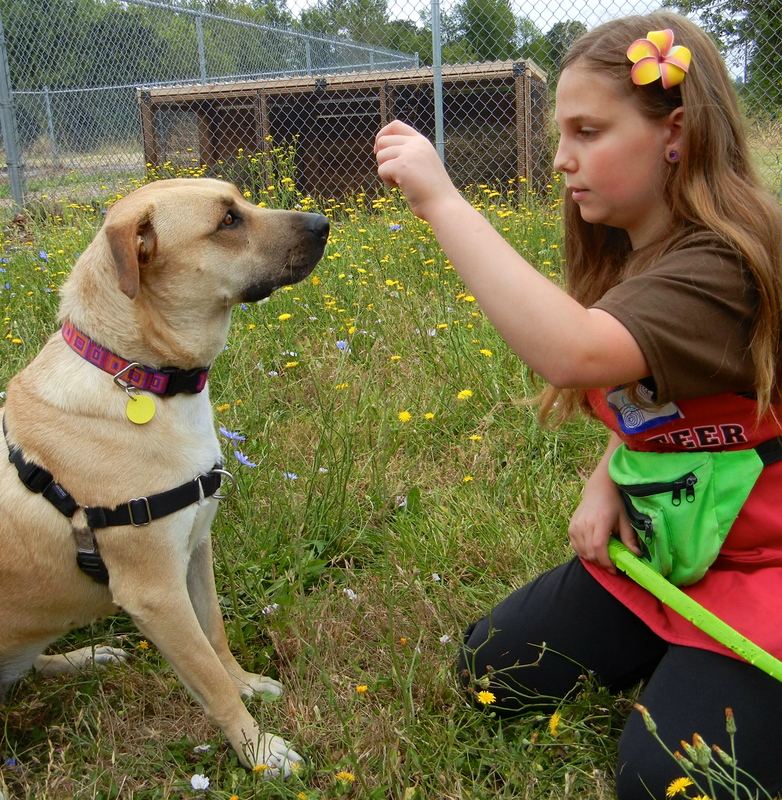 Brandy is a four-year-old Lab mix. 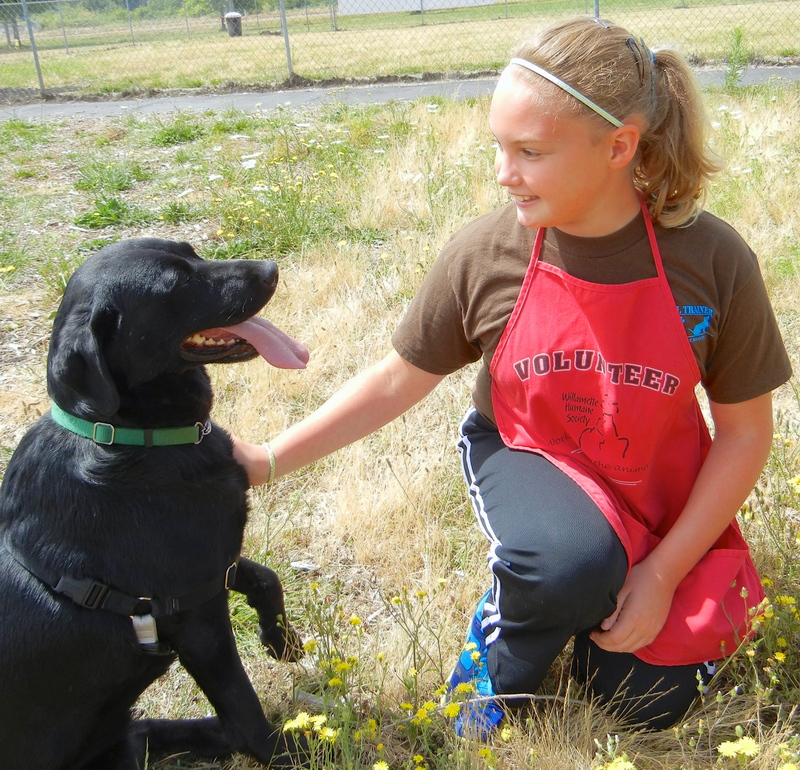 Blacky is a seven-year-old Lab mix. I have two happy updates to report today. The first one is from Bentley’s family. 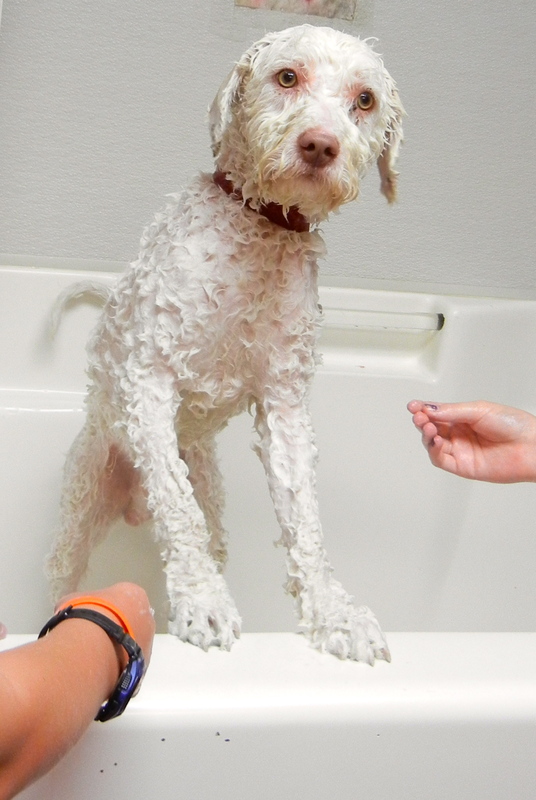 Here is a picture of Bentley when he was at WHS. 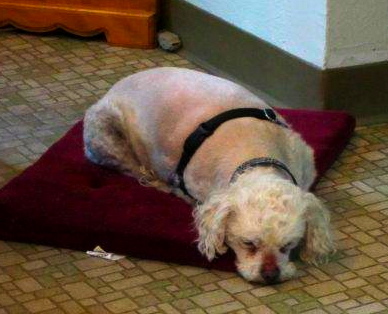 I haven’t yet received the recent photos of Bentley, but hope to soon! My regular readers will certainly remember Echo. 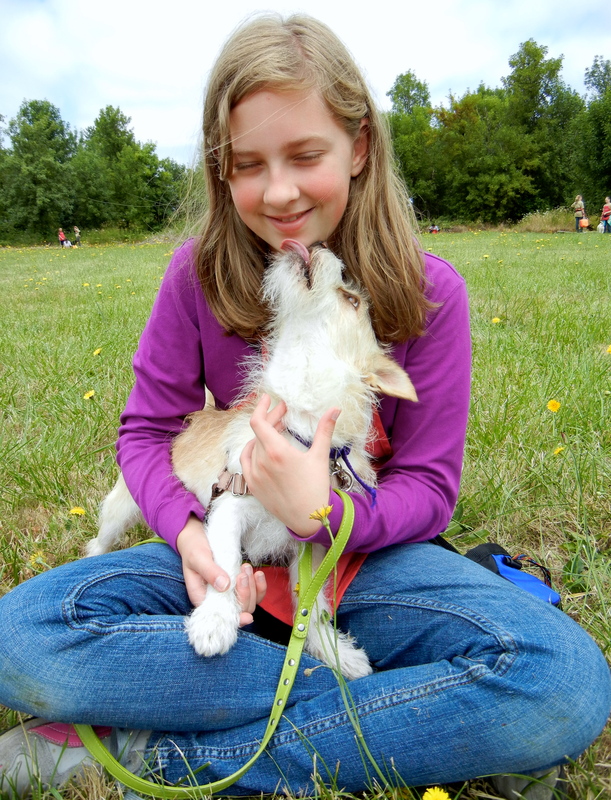 I will never forget the first time I saw her when she arrived at the shelter. She was cowering at the back of her kennel, so fearful of everyone and everything. 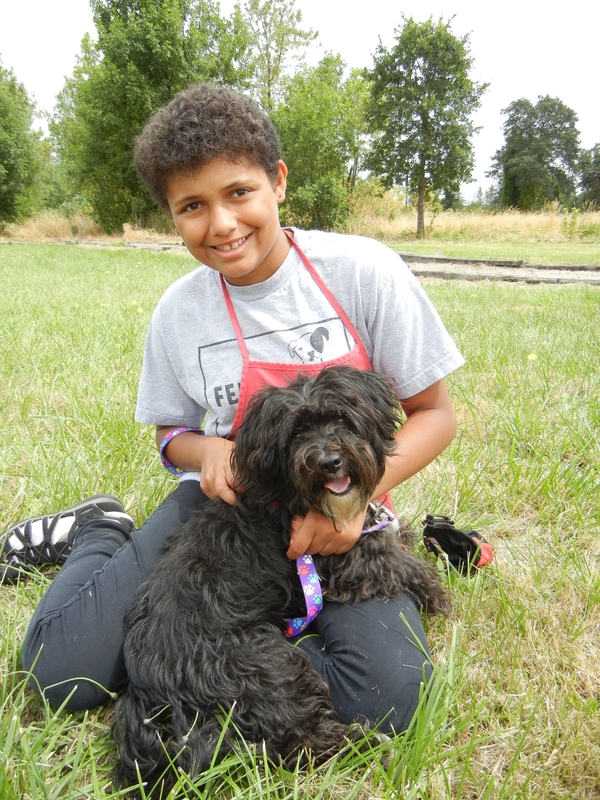 Volunteer Sarah fostered Echo for several weeks and then the perfect family found her. Here is their latest report. 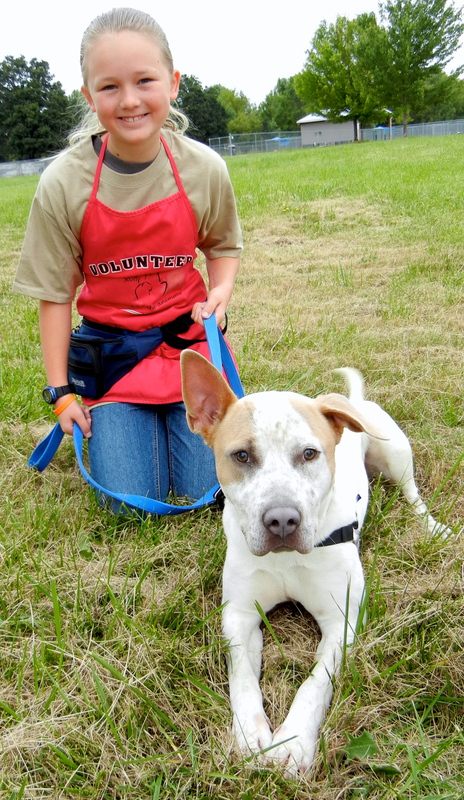 Tomorrow is the last day of camp for this session and the kids will have to say goodbye to “their” dog and hope that their efforts will result in happy adoptions. I hope so, too! Reminder! August 4 is coming fast! 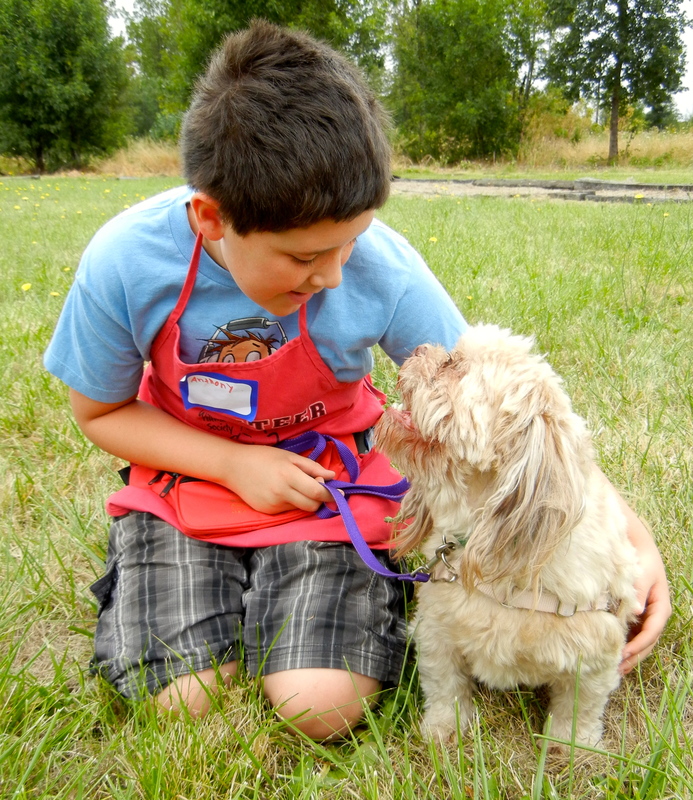 August 4th will be a big day for Willamette Humane Society. It will be the first ever WillaMutt Strut Fun Run & Walk! It will be held at Salem’s Riverfront Park. Participants can choose from a non-competitive 5k run, 5k walk or 1.5K walk starting at the North Meadow of Riverfront Park in downtown Salem. The walk and run events will kick off at 8:30 am, with all activities finishing up at 12 pm. 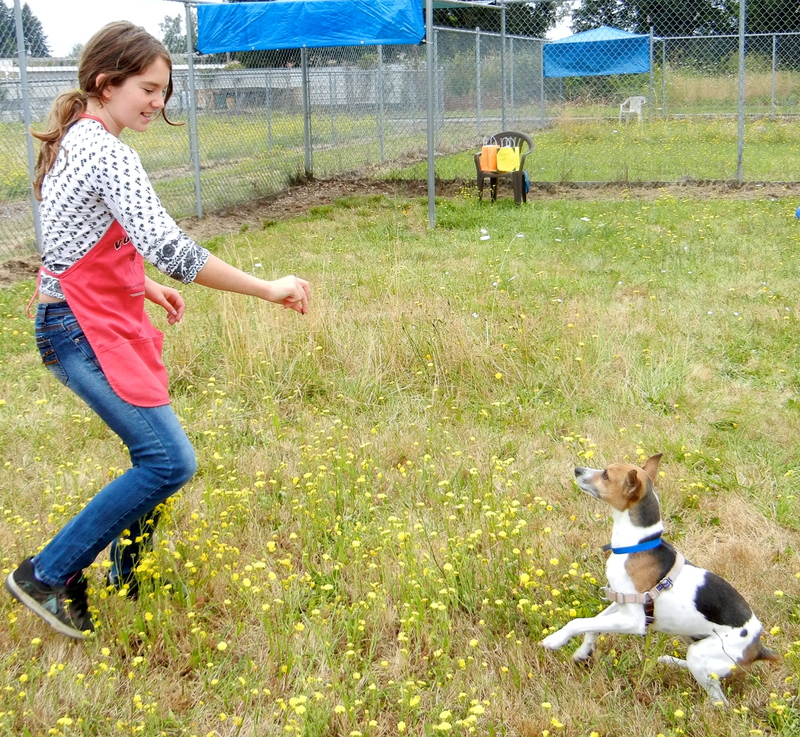 Dogs are welcome on all courses, but not required. 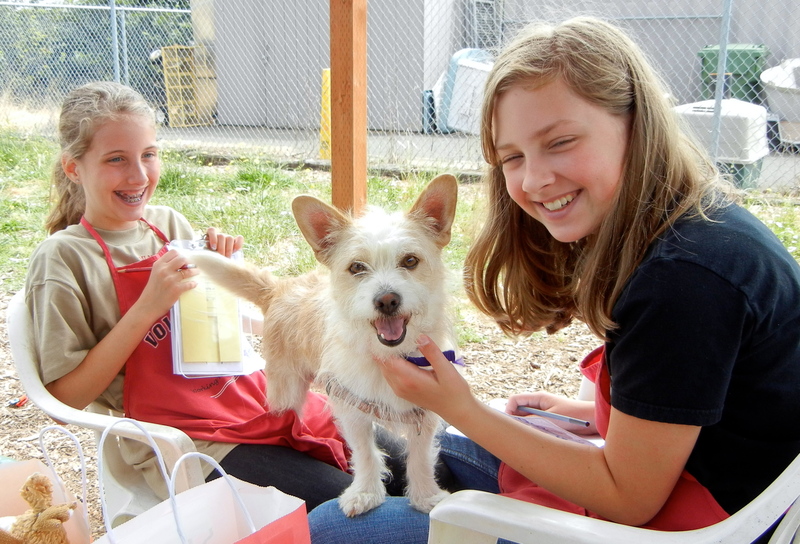 The event includes doggy games and family-friendly activities, including a dog and owner look-alike contest and the crowning of the cutest mutt! The cost is $25 per person and includes a t-shirt, snacks, participation in one of the three run/walk events and post-race activities. Walkers and runners are encouraged to gather their friends and family and form a “pack” (team). Participants can register one of three ways: 1) Online 2) by picking up a registration form at the shelter, the WHS Thrift Store, or Gallagher’s Fitness, or 3) on site the morning of the event, starting at 7 am. Prizes will be awarded to the top individual and team fundraisers. 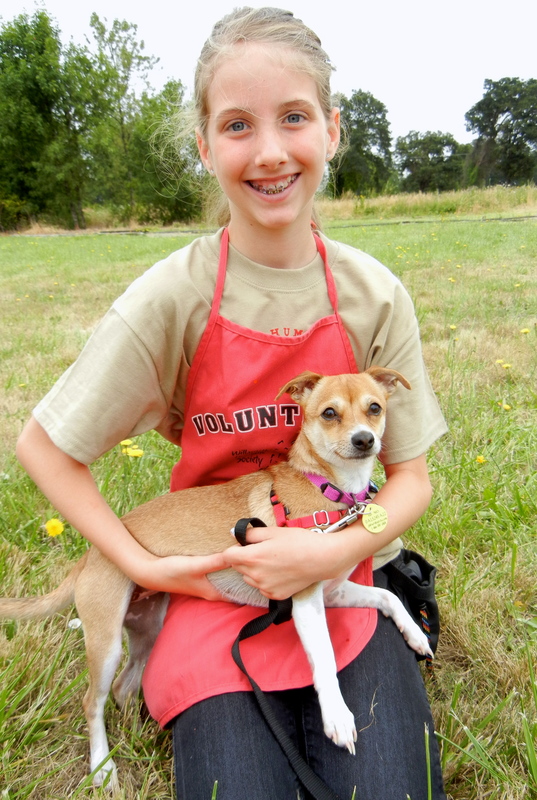 All proceeds from the event will help Willamette Humane Society provide food, shelter and medical care for homeless pets and match them with loving new families. So come join us in the fun on August 4! 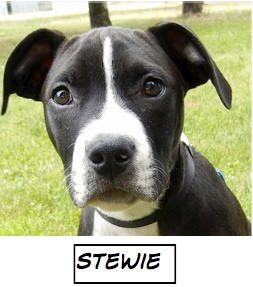 Also remember, if you see a dog on my blog whom you are interested in meeting, try to make arrangements to get to the Willamette Humane Society soon. 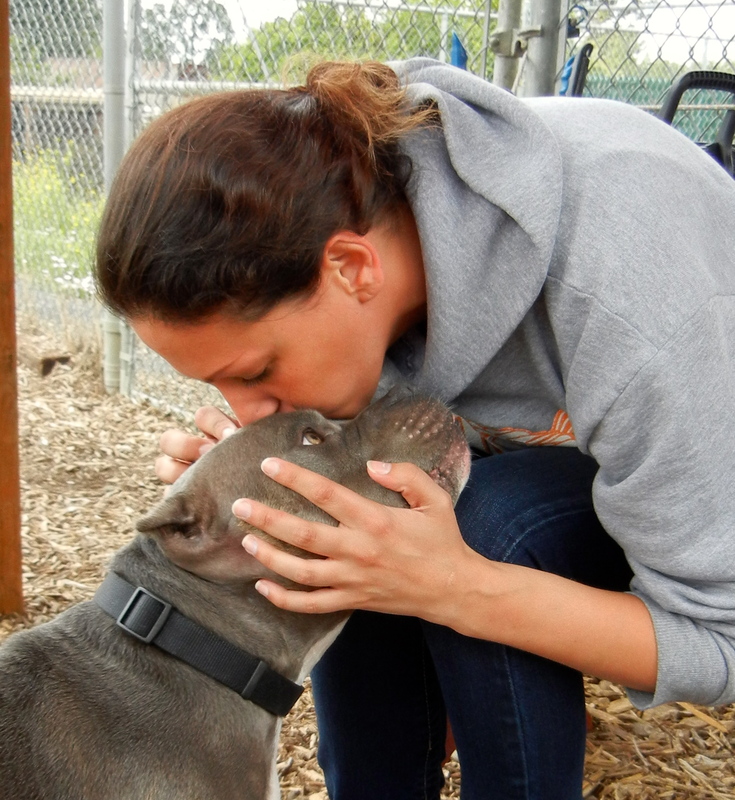 Some dogs are adopted more quickly than you might think. 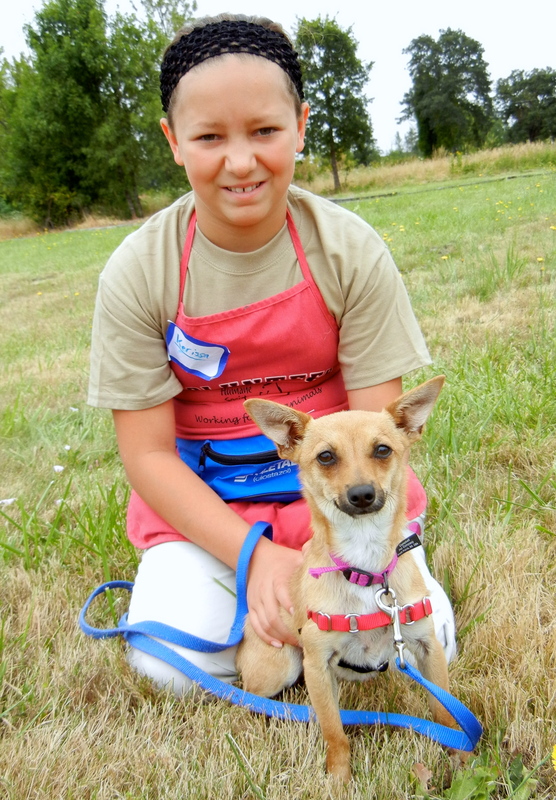 You can reach me at adoptanoregondog14@yahoo.com. 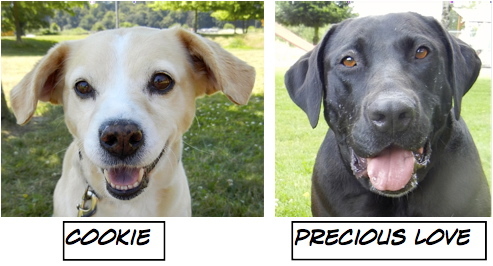 Also check out my WHS dog Facebook page at: http://www.facebook.com/adoptanoregondog for updates on this week’s dogs. If you haven’t already signed up, and wish to get an email notice and link to my new post each week, just enter your email address in the “Follow Blog via Email” at the right.